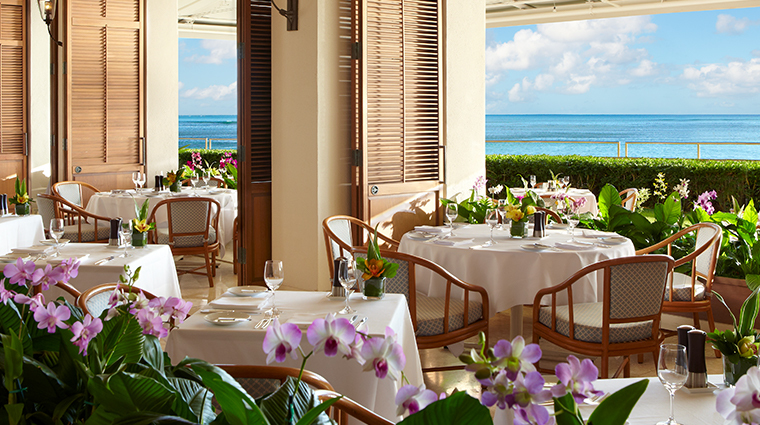 Orchids is set on the beachfront within Halekulani — the Forbes Travel Guide Four-Star is one of Oahu’s most prestigious and treasured resorts — on the west end of Waikiki. Although Orchids is quite large — it can seat up to 250 people — it never feels too impersonal or crowded. Instead, the venue offers a relaxed, open-air environment for you to enjoy Mediterranean-influenced cuisine. 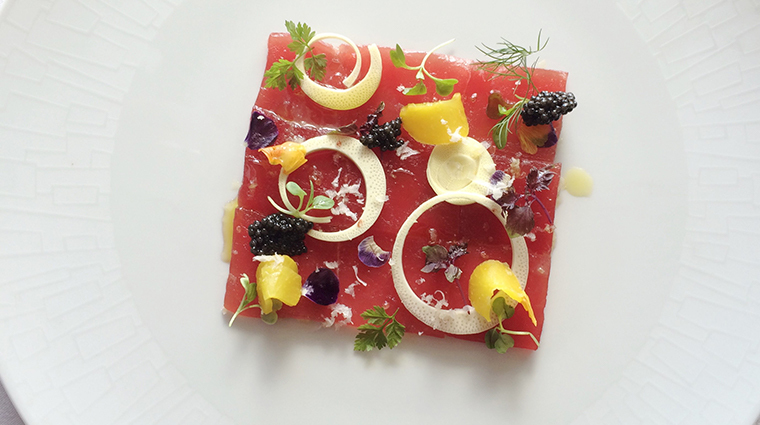 With half of the eatery’s tables offering a sweeping ocean view, even locals who generally eschew Waikiki and its tourists are happy to dine at Orchids to celebrate special occasions. 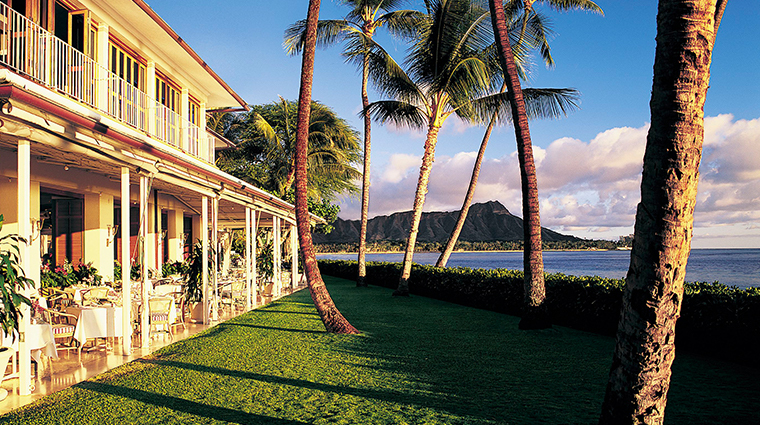 Next door to Orchids is House Without a Key, Halekulani’s casual, completely open-air restaurant, which offers live Hawaiian music and nightly hula dancing by former Miss Hawaiis. From Orchids, you can hear the music and perhaps even catch a glimpse of some of Hawaii’s most recognizable hula dancers. 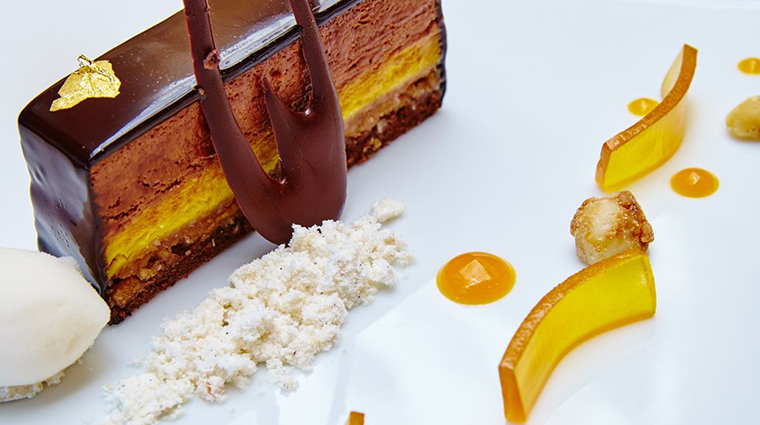 The restaurant’s Sunday brunch buffet is legendary, featuring everything from a roasted suckling pig carving station and a sashimi and poke bar to a dessert spread that includes an ice cream sundae bar and Halekulani’s signature coconut cake. Orchids are found throughout the seafood restaurant — small sprays and single flowers are displayed throughout the dining room and on the white, linen-draped tables. Don't miss the table-side Negroni cart. A rolling bar stocked with a selection of amari and Italian bitters, local citrus and house-infused mixers allows you to customize your cocktail. Check out the Cattleya Wine Bar for an array of Mediterranean-influenced tapas paired with a curated collection of wines by the glass. If you want an ocean view, request a table on the lanai, where you’ll be able to see Hawaii’s gorgeous aquamarine water stretching all the way to Diamond Head, the iconic landmark anchoring Waikiki’s skyline. 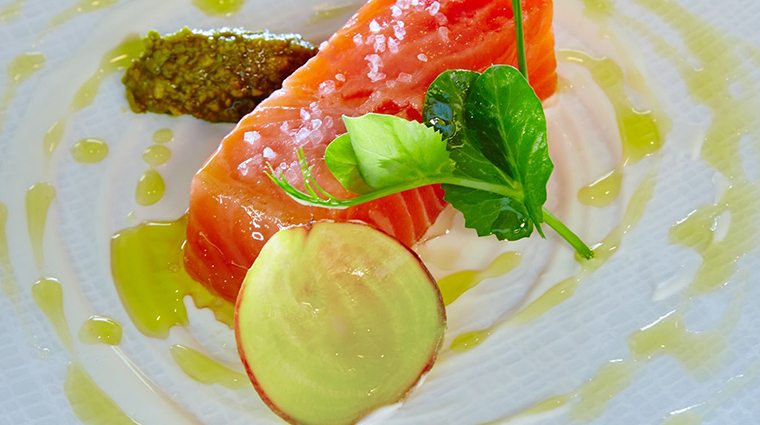 Monday through Saturday, Orchids is open for breakfast, lunch and afternoon tea, serving up Italian coastal cuisine. The Oahu restaurant is open for dinner nightly and its Sunday brunch is easily the most talked-about buffet on the island. Orchids is situated on Waikiki Beach, but given that the restaurant is connected to upscale Halekulani, you shouldn’t show up wearing shorts and flip-flops. During the daytime, resort wear (think Tommy Bahama) is the norm. Come dinnertime, Orchids requires a collared shirt and pants for men and women dress to match. Morning plates such as banana-macadamia-nut pancakes and signature Halekulani popovers with poha berry jam give way to seafood specials at lunch, such as hapu'upu'u Hawaiin seabass, and crab and lobster salad on a whole wheat croissant. The dinner menu features Mediterranean-inspired cuisine, including lasagnette made with fresh pasta, Kahuku prawns, scallops and avocado, as well as the popular sous-vide veal chop. Save room for Halekulani's renowned coconut cake, served up with raspberry coulis and crème anglaise.